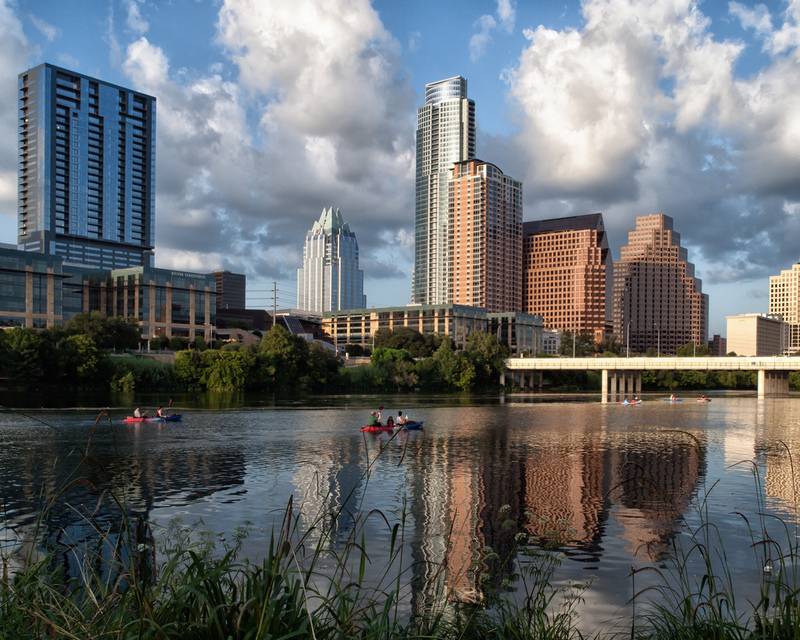 Austin, the trendy capital of Texas, is increasingly becoming a populous and metropolitan region of the south-east. If the current trending technologies are moving to this area, it has got to have something nice to go for it. The fast-growing state resources attract many families and young people, for its excellent day trips, relaxed culture, bars, and restaurants. Austin has a lot to offer when it comes to hiking, swimming, theme parks and more just a short drive out of the city. You are sure to find something exciting and entertaining for the whole family. 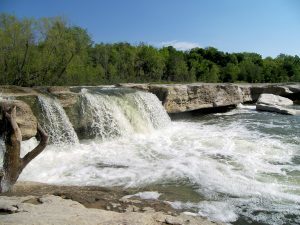 With a lot of outdoor activities available, Marble Falls is an attractive place to tour. It is an excellent spot for families for its Canyonlands Wildlife Refuge and seasonal produce and flower picking activities at Sweet Berry Farms. Endangered bird species like golden-cheeked warbler can also be found here. Marble Falls has a beautiful lakefront park with access to Lake Marble Falls along with boat ramp access; the park is shaded by mature pecan trees located minutes from Main Street. Make sure you stop at Marble Falls famous Bluebonnet Cafe for lunch and don’t forget to try some of their delicious pie; the hardest part will be which flavor to try. The Enacted Rock is among the most massive natural rock formations in the US – and thus worth paying a visit. It ascends 425ft above the ground. It has a captivating story about the native inhabitants of the region. The massive rock is not the only exciting feature. There are several hiking activities around which include rock climbing. If rock climbing is something you’d like to do, please make sure to check in with park headquarters before your climb. If you are an enthusiastic bird observer, there are several species to entertain you here. If you would like to extend your day trip camping is available here, which will end with a fantastic night of stargazing. 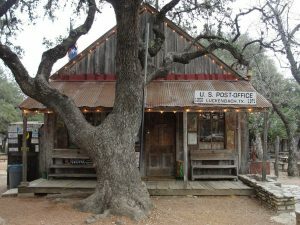 If there is a place that gives a perfect example of the real Texan culture, it is Luckenbach. 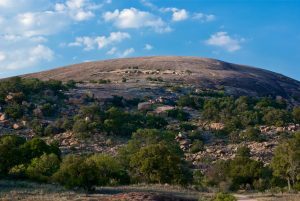 It is a small town in the stillness of the Hill Country, and here you will experience all that is heartily Texan. The exciting history of the place as a ghost town makes it an ideal place to visit. It is also famous for its live local country music on weekends. 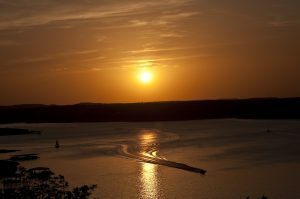 Lake Travis is one of the most famous lakes in Texas, and it is an excellent recreational place for visitors. It extends through more than 60 miles over an impressive shoreline of grassland and hills. This beautiful lake has a lot to offer, from a water park, zip-line over the lake, and a massive list of water sports like skiing and water surfing. There is an abundance of watercraft rental options on Lake Travis. End your day at one of the many waterfront restaurants and enjoy some of the most amazing sunsets over the lake. 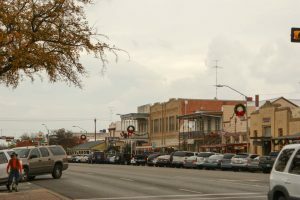 Although Fredericksburg is a small town right in the heart of Hill Country, it has a lot to offer regarding relaxation, dining, and shopping activities. It is also a center for various events and festivals throughout the year, so it may not be as cool as you may expect. It is also where more than two dozen of the best wineries in Texas comes from – you will get something you love. Canyon Lake is an excellent place to visit from Austin. 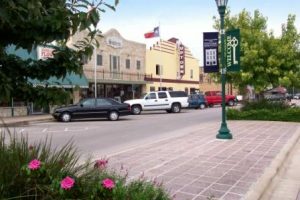 It is commonly known as the Texas Water Recreational Capital due to its water-based activities and the nearby Guadalupe River. It has a massive shoreline of about 80 miles – making it an ideal place for horse riding, biking, and hiking. It is also an excellent fishing place. The falls are located at the convergence of Williamson Creeks and Onion, and it is a tranquil place for a day trip. It covers more than 700 acres and has various swimming spots and plenty of animal and plant species. That makes it an excellent option for an excellent day trip. San Antonio is a big city that you cannot complete visiting in a single day trip. It features great activities for kids, culture enthusiasts, history buffs, and nature lovers. 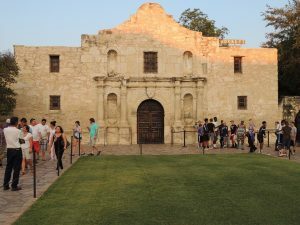 Spend the day visiting some of San Antonio’s historical building like The Alamo which is at the heart of the city. You’ll find some attractions located within walking distance of The Alamo, like, the wax museum, the river walk which offers a guided boat tour, there you will find restaurants and shops. Just a short drive from the river walk you will find the Historic Market Square, which offers shopping and delicious food. You can also spend the day at San Antonio’s Zoo, or one of its amusement parks. 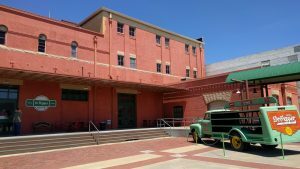 The primary attraction at Waco is the Dr. Pepper museum. It is where the famous Dr. Pepper Soda was bottled. It is neighbored by the Magnolia market which is also a great place to visit. If you love sports, you might enjoy visiting the Texas Sports Hall of Fame which is located close to the Texas Ranger Hall of Fame and Museum. There are some outdoor activities as well like waterpark and the zoo. This small town has a lot of history, shopping, and great fun for the whole family. It is a small town found in the Hill Country – and it has a lot to give. 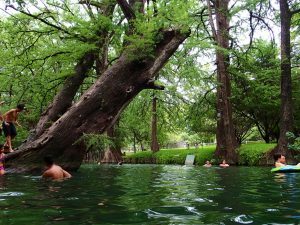 Its two swimming holes, Blue hole, and Jacob’s well are some of the aspects that make it an ideal place for a day trip. For the more adventures, you can zip-line above the valley’s lush of Winn Ranch or do some shopping at Market Days. If you are looking for an excellent place for your day trip near Austin, you can try out some of these places we have reviewed in our guide. Be sure you will have a memorable experience.